After numerous leaks over the past few weeks, Sony today officially announced the Sony Xperia Z Ultra, a new smartphone with a 6.4-inch full high-definition screen and a Snapdragon 800 chipset. The 6.4-inch, 1,920 by 1,080 pixel display is what Sony calls a TRILUMINOUS Display, incorporating technology from the Bravia television line, including the X-Reality video-enhancing software. The Sony Xperia Z Ultra works with a stylus (or any pencil, Sony says) and runs Android 4.2 Jelly Bean. 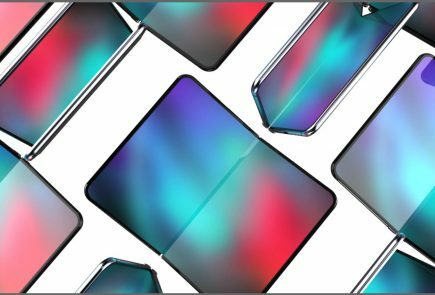 There’s a powerful Adreno 330 GPU to push all the pixels to the screen too, a part of the new Snapdragon 800 chipset, which also packs a quad-core Krait 400 processor clocked at 2.2GHz. 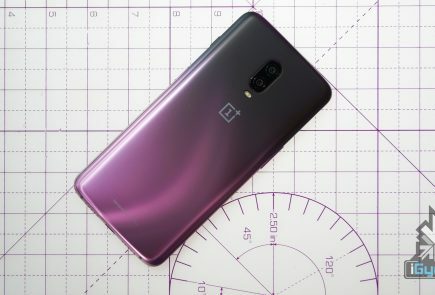 Other specs of note include an 8-megapixel camera, a 3,000 mAh battery and 16 gigabytes of internal storage, with about 11 GB available to the user, and a microSD card slot for extra space. (Props to Sony for being up-front about the usable storage space). The battery, on the other hand, is a quite respectable 3000mAh, though that screen will definitely eat it up faster than more conventional phones. The Xperia Z Ultra is set for a third quarter 2013 global release, with precise dates varying by market. There is no price set for the phone at the moment. 25th June 2013, Mobile Asia Expo, Shanghai – Sony Mobile Communications (“Sony Mobile”) today introduces the next revolution in premium large-screen Android smartphone entertainment. The new Xperia Z Ultra is waterproof**, ultra-slim with a lightweight design so you can enjoy it anytime, anywhere. It’s the first smartphone ever to incorporate a Full HD TRILUMINOS™ Display for mobile powered by Sony’s latest X-Reality™ for mobile picture engine to deliver the most immersive viewing experience imaginable. Additionally, the Xperia Z Ultra will also feature the fully integrated Qualcomm® Snapdragon™ 800 processor with 2.2 GHz quad-core CPUs, 4GLTE and HD voice to provide a seamless connected entertainment experience, industry-leading battery performance and amazing speed. Xperia Z Ultra features a 6.4” touchscreen Full HD display with Sony’s unique TRILUMINOS® Display for mobile, creating a wider palette of rich natural colours thanks to Sony’s BRAVIA TV expertise. The breakthrough technology includes X-Reality™ for mobile – Sony’s intelligent super resolution display technology which analyzes each image and reproduces lacking pixels to optimize quality for the sharpest videos. It analyses elements depending on the scene and adjusts them based on pattern, outline and colour composition. It also strengthens subtle patterns and accurately portrays their detailed feel, as well as reinforcing bold outlines. The large Full HD display has been optimised to experience at least 60%*** more of the screen than most other smartphones. 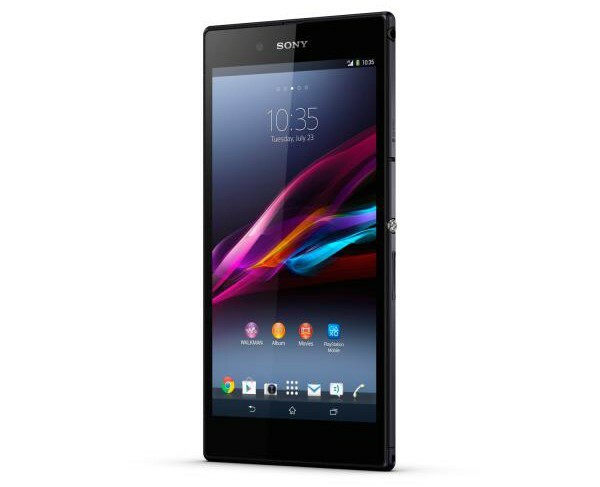 Xperia Z Ultra is supremely slim and lightweight with a beautifully crafted 6.5mm body and weighing just 212 grams for ultimate portability. Sony craftsmanship in design and attention to detail comes to the fore with clean lines and premium materials – the front and back are made of tempered glass, creating a seamless surface with the OptiContrast™ panel housed in an innovative solid metal frame which looks stunning from any angle. It features the same acclaimed OmniBalance design as Xperia Z and Tablet Z. The Xperia Z Ultra is available in a choice of black, white or purple colour finishes. The only waterproof Full HD smartphone**Xperia Z Ultra is both elegant and durable. With an impressive rating of IP55 and IP58, this smartphone isn’t only resistant to dust, but is waterproof** too – giving you the freedom to enjoy it anywhere. You can even film in Full HD underwater, taking your large-screen smartphone experience to a new level. The camera features “Exmor RS for mobile”, HDR for both photos and film, and Superior Auto mode automatically activates HDR and noise reduction when needed, so you’ll get stunning imagery even in challenging light conditions. 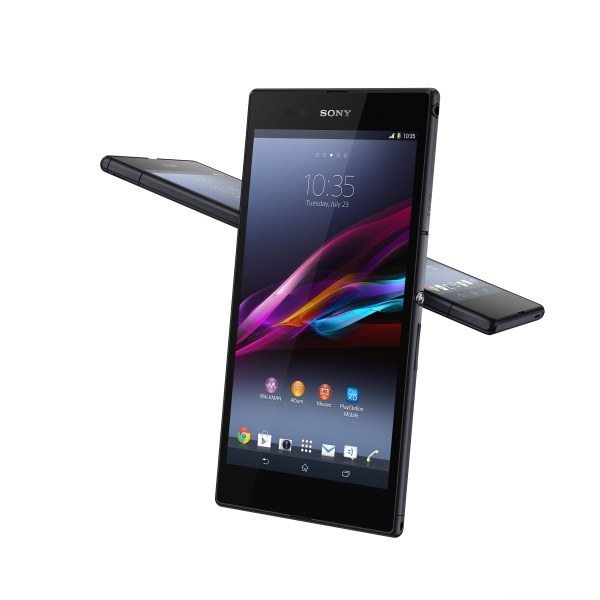 The Xperia Z Ultra is uniquely positioned to offer the ultimate big screen phone entertainment experience for watching movies, playing games, reading books and browsing the web. Sony’s “WALKMAN”, Album and Movies media applications enable discovery of online and offline content through a single access point with new ways to enjoy and share that content. The “WALKMAN” application leverages Sony’s audio engine and Facebook integration for sharing and discovering new music and is unique in that it provides seamlessly integrated access to all your downloaded music as well as access to a global library of over 20 million songs2 from Sony’s cloud-based subscription music service, Music Unlimited3. The Movies application brings new intuitive ways to discover, manage and play movie content, together with easy access to an extensive library of blockbuster movies and the latest TV episodes from the Video Unlimited2 service. The Album application provides seamless integration with the PlayMemories Online2 service, letting you access all your photos and albums from within the Album app instantly and easily, wherever you are. You can even set an automatic upload of your photos to the PlayMemories Online service to access and enjoy from any your favourite Sony devices. The Sony Reader app2 provides seamless Reader store2 access so you can download and enjoy the latest bestsellers – it even lets you sync purchased books in popular formats and continue reading from same page. Xperia Z Ultra will include an exclusive free entertainment content offer, including a free trial of the Music Unlimited2 service (subject to availability). The Xperia Z Ultra features the world’s fastest smartphone processor**** – the Qualcomm Snapdragon 800 processor with HD voice, that together with Sony´s audio Sony’s ClearAudio+ mode and Xloud loudness enhancement, delivers not just exceptional speed and performance, but also unsurpassed voice and audio quality. Battery STAMINA Mode significantly improves the standby time of your smartphone by four times or more1 as it recognises when you’re not using your display and automatically turns off the functions you don’t need, while keeping the notifications you want. As soon as you press the power button to wake up your screen, everything is up and running again. The Xperia Z Ultra is the ideal business partner thanks to the super responsive screen with handwriting recognition which is compatible with any pencil and selected stylus or pen (capacitive stylus or metal pen with tip diameter over 1mm). You can even write notes or sketches during calls so you’ll always be ready capture your ideas as they happen. The easy-toggle keyboard makes it ideal for one-handed input and multi-tasking, with small apps to help you improve productivity so you don’t lose time browsing between windows. The robust security architecture safeguards both your corporate and personal data, with support for multiple accounts that are quick and simple to set up. Further business oriented applications will be made available in future as software updates, ensuring you get the best smartphone experience – whether for work or play. With one-touch functions you can instantly and easily share music, photos and videos from your smartphone to a wide range of NFC-enabled Sony devices, including speakers, SmartWatch, wireless headsets and TVs. There are several new and innovative accessories joining the range of popular connected devices. The SBH52 is a dynamic Smart Bluetooth™ Handset that provides easy hands-free call handling with a single press, while leaving your smartphone conveniently in your bag. The OLED display conveniently lets you browse your call log, view text messages, and see who’s calling you. Use it as a quality stereo music headset to listen to your tracks or to the built-in standalone FM radio with RDS. Pairing and connecting is done simply by touching it to your Xperia Z Ultra or other NFC-enabled device. And it’s sleek, minimal design is splash-proof, meaning you can now use it anywhere, in any weather. The latest generation of SmartWatch, the SmartWatch 2 SW2, helps you keep track of everything without taking your smartphone out of your pocket or bag. The SmartWatch 2 is a truly multifunctional digital watch and phone remote that lets you receive notifications, control your music, and connect with one-touch NFC to your Bluetooth™ headset for easy call handling. The water-resistant design makes it more versatile to use than ever and can be personalised with any standard watch strap. Use it as a standalone watch or with your smartphone. There are over 200 apps available for our first generation and with an open API we expect new applications will be developed quickly and easily for SmartWatch 2. The Magnetic Charging Dock DK30 has an innovative magnetic pin that lets you to place your Xperia Z Ultra snugly in the dock using one hand, either with or without the phone cover on. While your phone is charging, it stands at a comfortable viewing angle easily allowing you to keep watching your favourite movies even while charging. The Xperia Z Ultra will launch globally from Q3 2013 (exact timing of availability will vary by market). 1 Based on testing done with default settings, default accounts and applications for Skype™ and Twitter downloaded to the phone. The more applications installed, the bigger the effect of Battery STAMINA Mode. 2 Number of tracks available from this catalogue varies by country and may be less.